Lexington Inn San Luis Obispo is conveniently located off of Highway 101. Our 100 percent smoke free hotel offers world class amenities such as 24-hour concierge desk- multilingual staff- free WiFi- access to copy and fax service. Start your day with our complimentary continental breakfast. Work out in our fitness center or heated outdoor pool - then unwind in our Jacuzzi. We have a 40-amp Tesla Charger and Universal Charging Station that can charge one properly equipped car directly in front of the station- subject to availability.....Our 75 spacious guest rooms feature all of the comforts of home including a microwave- mini-fridge- coffeemaker- 32 inch flat screen satellite TV with HBO and ESPN- clock radio- iron- ironing board- desk with lamp and complimentary local call access. Private bathrooms feature a hairdryer. Select rooms offer a kitchenette- available by request. Laundry and dry cleaning service is available upon request.....Lexington Inn San Luis Obispo offer easy access to the surrounding corporate business centers and attractions- Performing Arts Center- Cal Poly- and San Luis Obispo Childrens Museum. Leisure travelers can enjoy a day trip to the magnificent Hearst Castle- a National Historic Landmark mansion featuring 56 bedrooms - indoor and outdoor swimming pools and a private zoo. A fully functioning Catholic church in which visitors are welcome to wander through its sanctuary and courtyard gardens- Mission San Luis Obispo de Tolosa offers a humbling contrast to the grandeur of Hearst Castle. Enjoy the fresh air while teeing off at 10-hole Laguna Lake Golf Course- about 4 miles from our hotel- then head out into nearby San Luis Obispo wine country for tastings and tours. Local restaurants include Apple Farm- Pappy McGregors Irish Pub- and Pepe Delgados Mexican Restaurant.....All this and more makes the Lexington Inn San Luis Obispo the ideal choice for your business or leisure travel when visiting the beautiful city of San Luis Obispo. 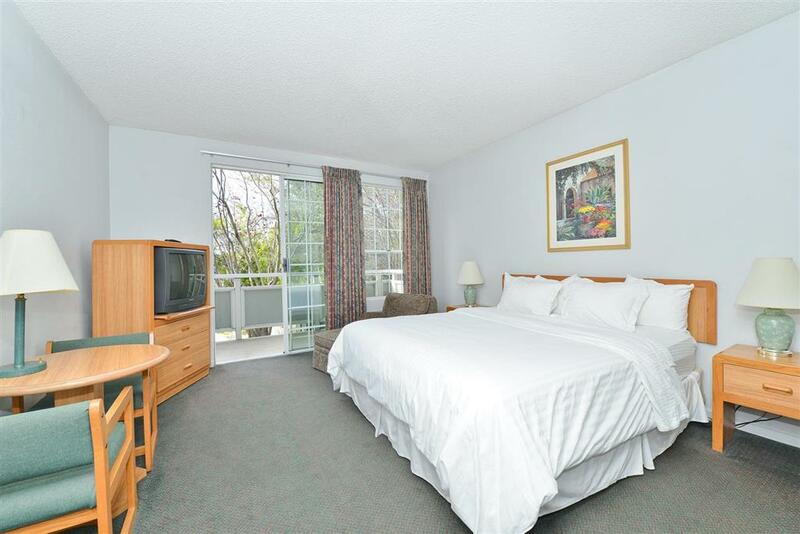 Lexington Inn San Luis Obispo is conveniently located off of Highway 101.